A comprehensive approach to wellness and stress management that includes all the components needed for creating and maintaining professional and personal power. Wellness goes far beyond the freedom from illness. It emphasizes each individual’s uniqueness along with the importance of self-responsibility and a positive attitude for personal well being. ♥♥♥♥♥ SPICES for Life is featured in the Mind-Body Mastery eBook. Instant Download! Looks like you have entered a product ID (5) that doesn't exist in the product database. Please check your product ID value again! They are Social, Physical, Intellectual, Career, Emotional and Spiritual health and well being. Each dimension is equally important to living a well-rounded, successful life. Paying equal attention to each aspect by developing and balancing them throughout life is important and results in wholesome living which is stimulating, productive and vital. A person who is Socially active and alive is one who is able to establish and maintain meaningful relationships with others. He or she is comfortable being and working with people from different age groups, cultures and backgrounds. Socially aware people are attentive to issues affecting their community and work for the welfare of the community by volunteering, voting and being involved. The Physical dimension of wellness is much more than getting the right amount of exercise. It also means eating balanced, nutritious meals; maintaining proper body weight in relation to the frame size and paying attention to safety (i.e. wearing seat belts, preventing fires; locking doors; and not drinking and driving.) Physically well people don’t get sick very often and make lifestyle choices that help prevent future health problems. Choices and actions are taken to protect the earth’s environment by recycling, reusing, renewing and reducing the amount of resources used. Intellectually healthy people tend to engage in creative, stimulating mental activities. They are active problem solvers and learn from mistakes. They set short and long-term goals and take steps to achieve their goals. Intellectually alert people are open to new ideas and change. Also included is the interest in current events, arts and entertainment. Curiosity, the interest in learning, and the development of new skills throughout life are also signs of intellectually well people. Career Development is another side of a well-rounded person. Having a goal or direction in life is as important as taking the steps to achieve these goals. The satisfaction gained by one’s work, whether in school, on the job or at home, and the degree of enrichment that is felt are measures of career health. A positive attitude towards one’s work and maintaining balance is also important. Emotional well being is related to one’s awareness and acceptance of feelings and the ability to express feelings in a positive, productive manner. Emotionally healthy people generally experience and appropriately express a wide range of emotions and feelings. They also accept others’ expressions of feelings. They feel positive about themselves and are enthusiastic about one’s life and self and are able to cope with stress. Spiritually well people are involved in the on-going development of a purpose and philosophy of life. They are involved in the internal development of a personal set of values, beliefs and ethics and strive to live by them. They acknowledge and appreciate the depth and expanse of life. Their spiritual nature supports and enhances their mental and emotional nature. The Hurricane Katrina Resiliency Project is using SPICES for Life as a wellness and stress management tool for mental health professionals associated with recovery efforts. Workshops are being held in New Orleans starting in the fall of 2007. (Yes, recovery efforts are will underway). 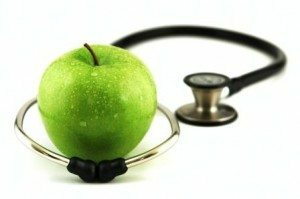 Michigan State University College of Human Medicine is using the SPICES concept and acronym in a comprehensive health and wellness resource guide for all incoming first-year medical students starting in the Fall of 2007. Thomas M. Wolf wrote about SPICES for Life in his book: To your Health: Achieving Well-Being during Medical School. SPICES for Life Workshops provide an introduction to wellness and motivates people to make appropriate changes for improving health and well-being. → Julie Lusk, M.Ed. is available to speak about SPICES for Life ® and a variety of wellness and mind/body topics at your special event.